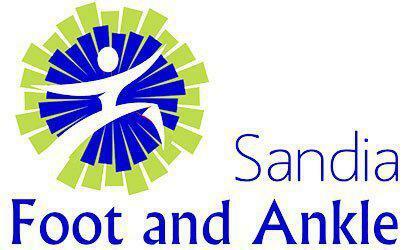 Podiatrist Dr. Floyd Pacheco, Jr., of Sandia Foot and Ankle in Albuquerque, New Mexico, brings two decades of experience to diagnosing and treating a full scope of foot and ankle issues, including: bunions, plantar fasciitis, Achilles tendonitis, and gout. He has extensive expertise in remedying sports injuries and performing reconstructive surgery, including ankle fusion and tendon repair surgery. Committed to providing the most advanced, yet conservative treatment options, Dr. Pacheco uses digital X-rays for diagnosis and such cutting-edge treatments as platelet-rich plasma injections and stem cell therapy via placental allograft injections. A native of Sante Fe, New Mexico, Dr. Pacheco earned his undergraduate degree from New Mexico State University in Las Cruces and his degree in podiatric medicine from California College of Podiatric Medicine in San Francisco, California. He followed that with an internship at the Texas Health Science Center in San Antonio, Texas and a residency at Cedars Medical Center in Miami, Florida. Dr. Pacheco also received fellowship training from the Russian Ilizarov Scientific Center for Restorative Traumatology and Orthopaedics in Kurgan, Russia. He is a member of the American Podiatric Medical Association and the New Mexico Podiatric Medical Association. Dr. Pacheco is dedicated to providing first-class care and customer service to patients of all ages, offering a welcoming environment and keeping stints in the waiting room to a minimum.